I’ve recently been to Krakow (regular Gidday-ers will already know this) and as I wandered its streets and gazed around the old town square, I thought how like Prague it felt. Right down to the bugler playing his doleful tune to all points of the compass from the tower of St Mary’s Basilica each hour. And yet there’s something different about Krakow, a darker undertone. In planning my trip, I had pre-booked a visit to Auschwitz-Birkenau (more on that in another post). But Krakow was invaded by the Nazis on the 1st September 1939 and remained occupied for almost the entire period of the second world war so I wanted to understand how things were closer to ‘home’. 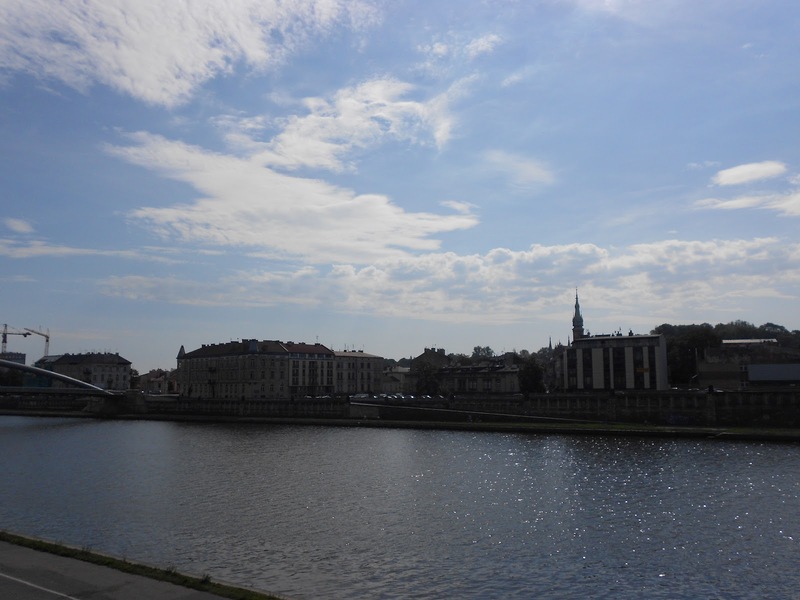 And this needed going a little further afield so on Friday morning I headed south along the banks of the Vistula River for a day exploring Podgorze and Kazimierz. Let’s get one thing straight. I am not well-versed in Jewish culture and history, despite having lived in Jewish areas both in Melbourne and now here in North London. (Just to clarify – I am not Jewish.) And I don’t have a particular interest in it so I was not planning a day of traipsing through synagogues. But the Jewish population of Krakow decreased from 65,000 before the war to only 200 today and I find it extraordinary that one of our ‘species’, if you will, could become so endangered. Podgorze was where my walk was to begin. 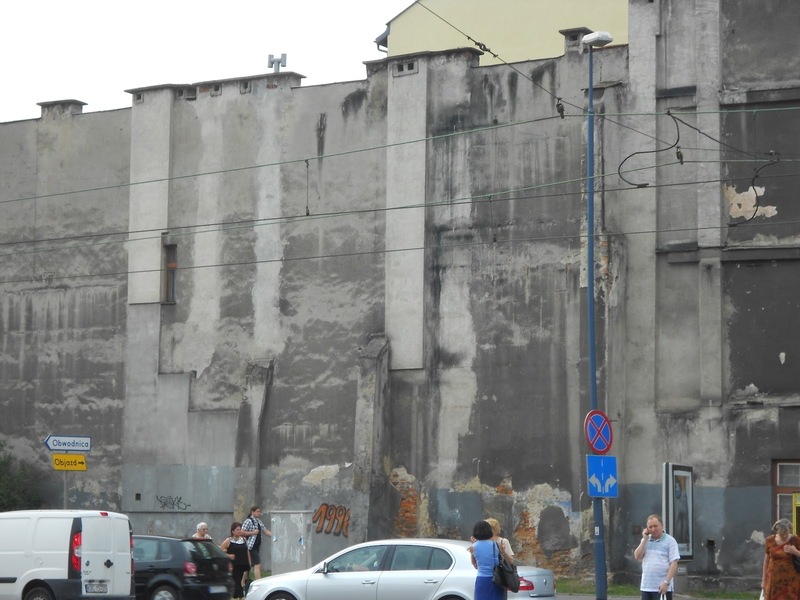 This was where some 15,000 Jews were herded from Kazimierz across the river to live within the walls and gates of their ghetto home before being deported to concentration camps, the closest being Plaszow, a labour camp built in 1942 and then converted in 1944. 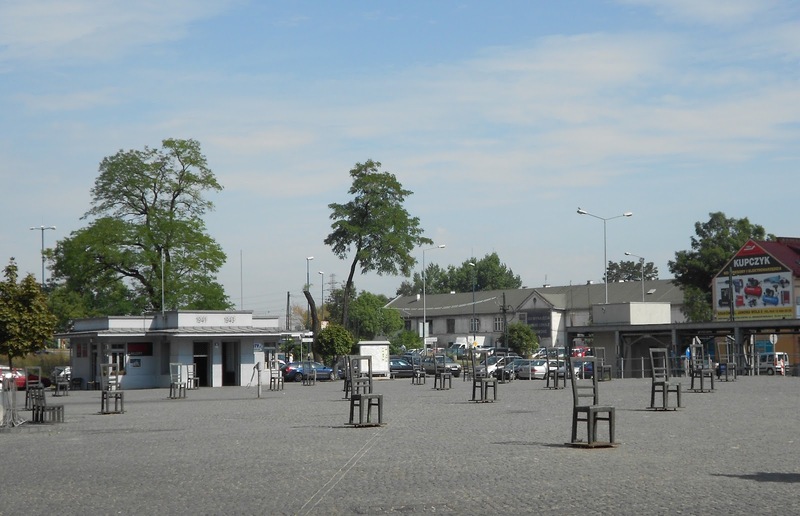 I wandered through the busy streets of this now everyday suburb of Krakow, past the piece of ghetto wall, tucked between modern structures along a main road, and into Plac Bohaterow Getta with its rows of empty chairs, a tribute to the thousands of Jews who left their worldly goods behind and boarded trains there. 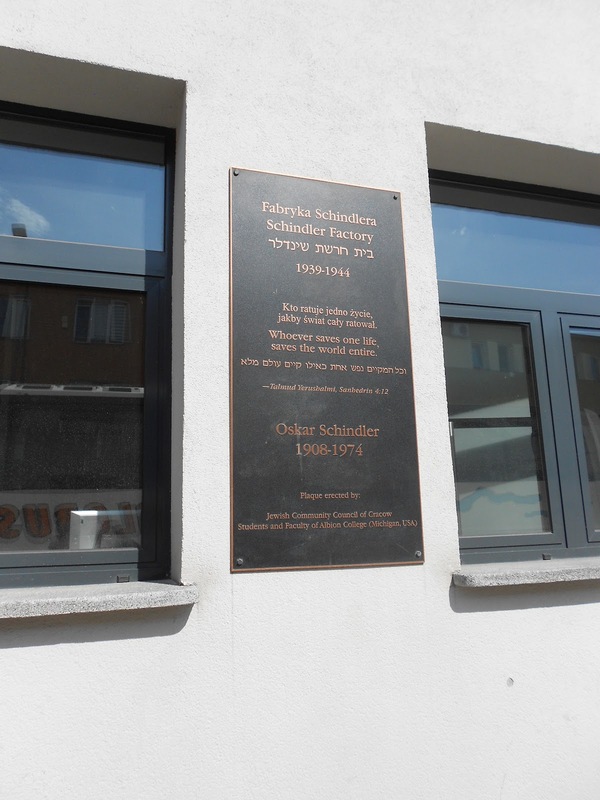 The enamel factory of Oskar Schindler is not far from here and just a short walk across the train line brought me to 4 Lipowa Street. The factory houses an extraordinary permanent exhibition, Krakow Under Nazi Occupation 1939-1945, which gives a fantastic insight into this short but defining period in Krakow’s history. There are lots and lots of details throughout the 28 exhibits and in some parts, it was a bit too much to digest. Nevertheless, I spent just over two hours here – there is a ‘ghetto walk’ and a fascinating display detailing the occurrences in the city in the days right before and then during Nazi Germany’s entry into the city. If any of you are wondering about the must sees in Krakow, this should definitely be on your list. Two moments in Krakow’s history illuminated by the sun. 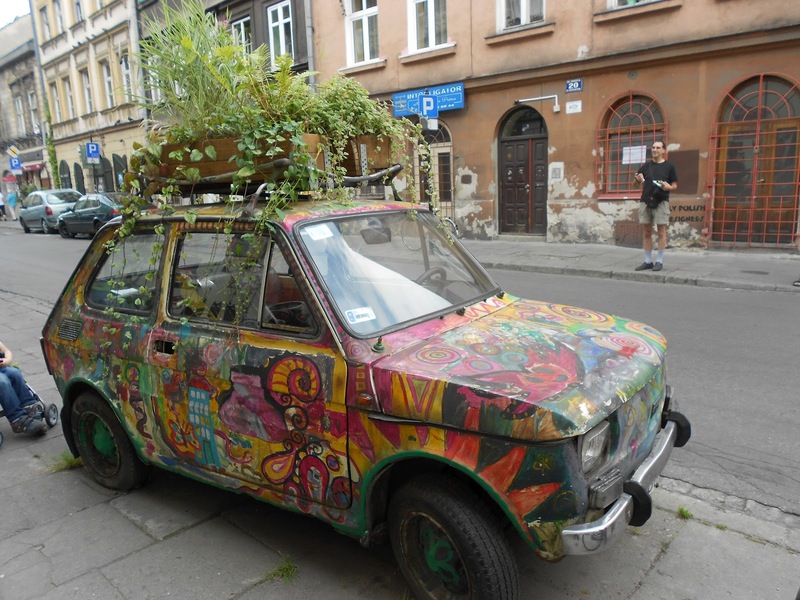 I began my slow and thoughtful walk back to Plac Bohaterow Getta and a short tram ride across the river, I found myself in Kazimierz, ready for a spot of lunch and a meander through this vibrant neighbourhood. There’s a different feel here – it’s industrious and dotted with craft and artists’ shops. Only two corners of the market on Plac Nowy were in operation as I walked through and I can imagine that the flea market on Saturday must have the whole square thrumming with activity. Alas, I was a day early and booked for my excursion to Auschwitz the following day. I found a spot for a late lunch. My experience of Polish food so far had been wholesome and tasty and in huge portions – Miodowe Smaki (or A Taste Of Honey) was no different – and I settled in for a while to reflect on my day. I don’t think a visit to Krakow can really be complete without an ackowledgement, amidst the music and medieval splendor of this wonderful city, of this particular piece of its history – in essence a reflection of our own darkest hours as a human race. A history, not only recent, but one littered with horror, tragedy and shame. My trip through Jewish Krakow had left me filled with something that even now I can’t put into words. Sombre, respectful certainly, not quite sad but there was a sense of melancholy that stayed with me for several hours afterwards (and re-emerges as I type this). It felt like this day had given a depth to my Krakow experience that I hadn’t expected. I felt like I had some sense of a people who had lived their lives in hope and peace and, in an horrific injustice, met their end at the hands of their fellow man. And in that, I felt a little more prepared for my visit to Auschwitz-Birkenau the following day to confront the end of their story. 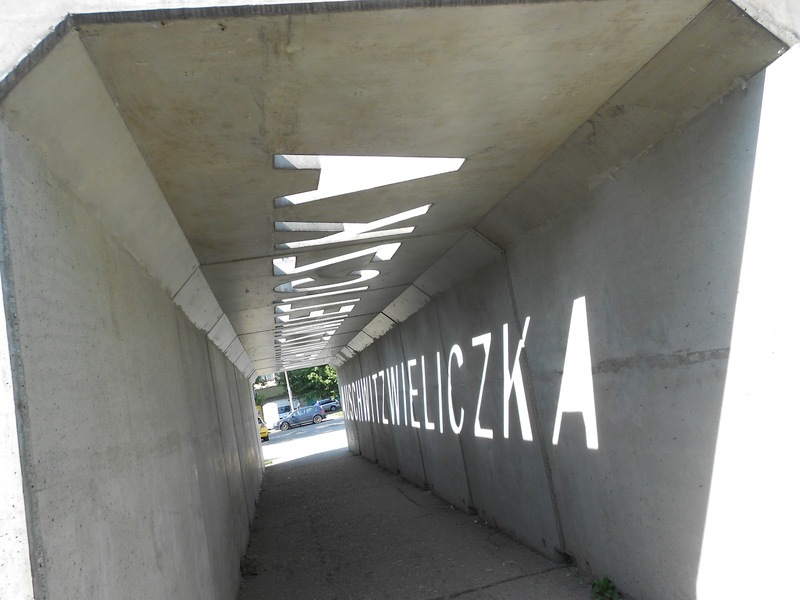 This entry was posted in A Traveller's Life, Armchair Tours, Expat moments, having my say and tagged Auschwitz, Birkenau, Jews, Krakow, Podgorze, World War II by Kym Hamer. Bookmark the permalink. I know Linda, it's quite a sobering experience. But there are a couple of posts left in me on Krakow so I'll be spending some time on the 'moments of joy' I had there too. Husband has been to Krakow but not me, and we've been trying to find a free spot of time to go. Your post only reinforces this feeling. When you think of what they went through, it makes you weep.